I must confess I rubbed my eyes in disbelief when I read that former Prime Minister Ehud Olmert had accepted an invitation to be the keynote speaker at the J Street Conference Gala dinner on March 26. By doing so, Olmert has sunk to an all-time low, not only destroying whatever remained of his battered political legacy but also shaming the State of Israel. Let me state at the outset that I am acquainted with Olmert and once admired him. At 28, as the youngest member of Knesset, he developed a reputation, ironically as a crusader against crime and corruption. A successful fundraiser and networker, his engaging personality contributed towards making him the consummate politician. Olmert was loyal to his supporters and friends and made a distinguished contribution as health minister. I enthusiastically supported him when he was candidate for the mayor of Jerusalem, campaigning on the platform of a united city. Let me also express the hope, for Olmert’s sake as well the reputation of Israel, that the courts will exonerate him from the charges currently confronting him. 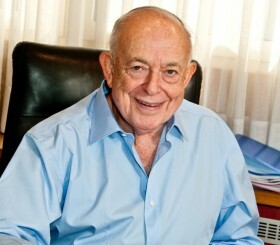 Few of us wish to see yet another former high-profile Israeli leader found guilty of corruption or consigned to prison. Something snapped with Olmert when he effectively spurned his longstanding political roots and developed a penchant for crass political opportunism. This climaxed when he joined the Kadima bandwagon, and became one of the most enthusiastic promoters of Ariel Sharon’s devastating unilateral disengagement, paving the way for his appointment as deputy prime minister and succeeding Sharon. It was evident that he had lost the plot when on June 9, 2005, in the course of the disengagement debate, he gave the keynote address to the left-leaning US-based Israel Policy Forum and in words that will continue to haunt him for the rest of his life, proclaimed: “We are tired of fighting, we are tired of being courageous, we are tired of winning, we are tired of defeating our enemies”. These bizarre remarks epitomized the subsequent calamitous course of action he undertook just a year later, in July 2006, when he launched the disastrous Second Lebanon War. This led to the subsequent control of the Lebanese government by the Iranian surrogate Hezbollah. 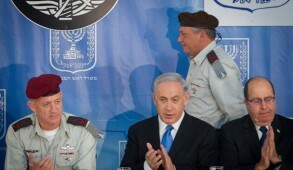 The Winograd Committee reviewing the war, whose members had been hand-picked by Olmert, produced a scathing report, condemning Olmert’s zig-zagging policies which culminated in “a major and grave missed opportunity” to inflict a major defeat of Hezbollah and restore Israel’s deterrence. The report employed the term “failure” 190 times and “flaws” 213 times. By refusing to accept responsibility and resign, even having the chutzpah to claim that the findings exonerated and “lifted the moral stigma” from him, Olmert made a mockery of public accountability. 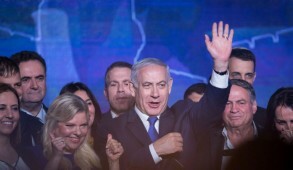 As Prime Minister, he continued on his downward spiral and, in a desperate effort to retrieve his legacy, offered the Palestinians exorbitant concessions, proclaiming that in the absence of a two-state solution, Israel “would be finished”. Without consulting the Knesset or cabinet , he unilaterally offered Mahmoud Abbas 98.1% of the West Bank, foregoing defensible borders and Israel’s security presence along the Jordan River. Furthermore, he agreed to divide Jerusalem and was even willing to yield jurisdiction of the Temple Mount to a multinational committee. In addition, he offered to allow a number of Arab refugees to settle in Israel – with no reference to restitution for the hundreds of thousands of Jewish refugees from Arab countries expelled from their homes in 1948. Abbas, like his predecessor Yasser Arafat, turned down Olmert’s proposals and failed to even make a counter offer, merely adamantly reiterating that the “right of return of Palestinian refugees” – which would result in the demise of the Jewish state – was nonnegotiable. 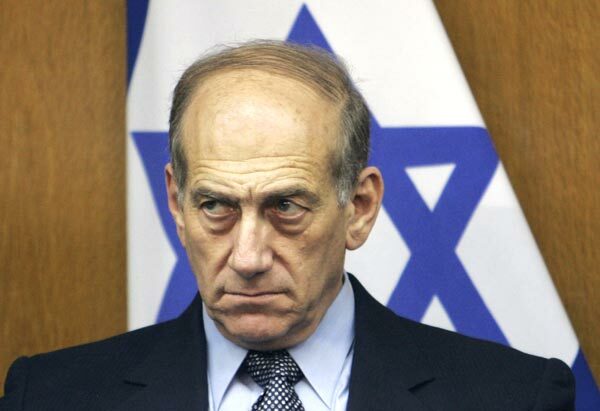 Since his ouster as Prime Minister, Olmert has engaged in a campaign to revise history, blaming Netanyahu for the breakdown of peace talks with Abbas and insisting that had he remained in office, he could have consummated a final peace settlement with the Palestinians. Desperate for any platform, Olmert’s fall from grace reached its nadir when he stooped to the depths of accepting the role of keynote speaker to J Street. 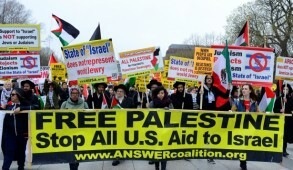 J Street is an organization comprised of American Jews who do not consider it unconscionable to canvass the president of the USA to pressure Israel. It justifies this on the grounds that Israelis need “tough love”, comparing us to children on drugs who must be pressured to do what is good for them or impounding car keys from a drunken friend. These trendy American Jews have the gall to canvass the Obama administration to force the democratically elected government of Israel to act contrary to its will in relation to national security issues impacting on the life and death of its citizens. But beyond this, in the midst of the Gaza conflict -orchestrated by Olmert – when all sections of the Israeli political spectrum,including the far leftwing Meretz,were united in support of the war, J Street refused to back Israel. 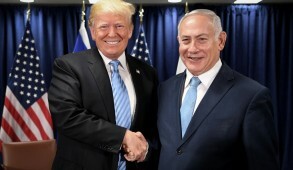 Applying moral equivalence to Israel and Hamas it claimed “that there are many who recognize elements of truth on both sides of this gaping divide” and reproached Israel for launching “a disproportionate response”. 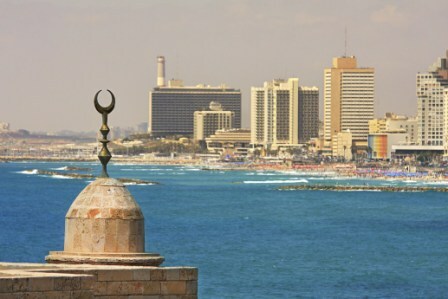 J Street stated that “we recognize that neither Israelis nor Palestinians have monopoly of right and wrong” and accused the Israelis of “lacking sanity and moderation” in their attitude towards Hamas. Only last week as hundreds of missiles were being launched against Israeli civilians, J Street, again applying moral equivalence, expressed “concern” on attacks on Israel and IDF “airstrikes on Gaza that killed over a dozen Palestinian civilians”. They were subsequently obliged to retract and apologize as all but two of those killed were terrorists. For Olmert to be so desperate as to appear before such a discredited body which had even maligned him, reflects his pathetic desperation for a platform in order to fabricate a contrived historical legacy. One would feel sorry for him were it not for the anti-Israeli propaganda that, as a former prime minister, he provides to our adversaries.